SDI’s SpectraSure™ technology has a vast array of applications. Not only does SpectraSure™ identify legitimate components for semiconductors, automobiles, and other machinery, it is safe for pharmaceuticals and consumer goods as well. With SpectraSure™, you can feel confident knowing your product is impossible to counterfeit. 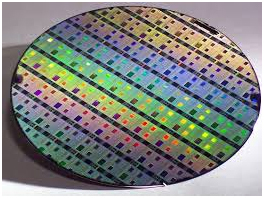 Counterfeit semiconductors in the U.S. supply chain is pervasive. A survey by the U.S. Department of Commerce, Bureau of Industry and Security, Office of Technology Evaluation, in 2012 shows that 39% of the 387 companies and government agencies involved in the semiconductor supply chain encountered counterfeit electronic components during the preceding four-year survey period. And, the problem is growing rapidly. One of the Office of Technology Evaluation findings is that supply chain traceability is commonplace. To combat the problem, on 31 December 2011, President Barack Obama signed into law H.R. 1540, the “National Defense Authorization Act for Fiscal Year 2012” which included Section 818 “Detection and Avoidance of Counterfeit Electronic Parts.” In Section 818(c)(2)(A) “Contractors are responsible for detecting and avoiding the use or inclusion of counterfeit electronic parts…” Further, in Section 818(e)(2)(A)(iv) The Defense Department is mandated to implement a program to enhance contractor detection of electronic parts by addressing mechanisms to enhance traceability of parts, (vii) establish methodologies to identify suspect counterfeit parts, and (viii) design, operate, and maintain systems to detect and avoid counterfeit electronic components. Penalties for intentionally trafficking in counterfeit parts include a $2M fine and up to 10 years in federal prison, or both! If the person knowingly or recklessly causes death can be fined up to $5M and imprisoned for life! On 2 February 2013, the President signed H.R. 4310, the “National Defense Authorization Act for Fiscal Year 2013” which reauthorized and amended the previous act to disallow the costs of corrective action unless the contractor has an operational system to detect and avoid counterfeit electronic components. The “National Defense Authorization Act for Fiscal Year 2014,” currently in the Senate, further amends and clarifies previous Acts, bolstering the need for significant counterfeit electronic parts detection and avoidance systems. SpectraSure™ is a non-organic taggant unique among covert and overt security markers in that it is impossible to reverse-engineer due to the underlying physics and the proprietary manufacturing processes. Even using sophisticated mass-spectrometry or nuclear magnetic resonance spectroscopy, counterfeiters cannot discern and duplicate the mark. Unlike many other taggants, SpectraSure™ can be incorporated into the component, applied to the component and its packaging and can be authenticated in real time, on-site, and on-demand. There is no need for long lead-time and costly laboratory analysis. The SpectraSure™ readers authenticate the mark in milliseconds. The SpectraSure™ taggant does not decay over time, can be encoded for specific and targeted tracking activities, andcan withstand environmental extremes far in excess of the item marked. 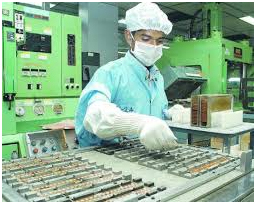 The assembly or Original Equipment Manufacturer (OEM) to track and trace electronic components throughout the supply chain to the end user or customer. Integration of the SpectraSure™ is performed without disruption or down-time to manufacturers, distributors, or OEMs. In addition, the costs associated with supply chain protection against counterfeits are allowable.